Whatever the venue may be, the room your special event is being held in may not have adequate lighting to accent the room. Even if the standard lighting is on a dimmer switch, which allows you to provide different levels of lighting in several areas of the room, it will most likely not be advanced enough to provide you with the specialized look and feel that supports the ambiance you are trying to achieve. Below are just a few lighting and design tactics Professionals use to transform your next event into something out of the ordinary. 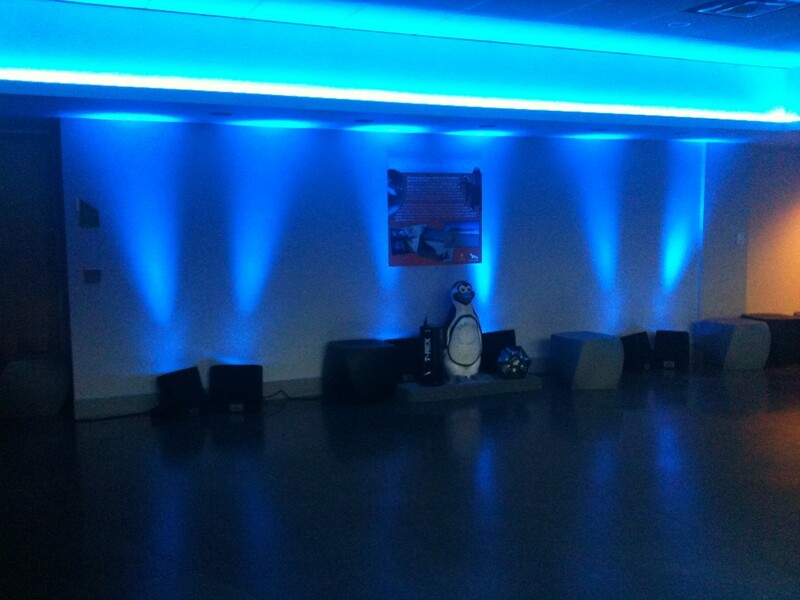 Pin spot lighting can be used to highlight a specific area of the room for the entire evening. It can also be used to direct the guest’s attention to where you want it to be throughout the night. A great example of pin spotting could be the use of a spot light that shines on a keynote speaker at your event, or on your Wedding cake! See how we used pin spot lighting on these centerpieces here! A fast and easy way to transform a fairly standard room into a space that feels fresh and new is to utilize up lighting. Up lighting is ideal for events where there is not time or budget for decorations, or for venues that are not traditionally used for special events. For example, adding up lighting to neutral walls of a warehouse will instantly make the space feel warmer and more inviting. Choose from either colorful up lighting that matches the colors and décor of your event, or get more creative and combine special effects to create a customized aesthetic. While up lighting can certainly be incorporated with special décor, you may have a client who desires a more advanced look that will go beyond just lighting plain walls. This can be achieved by using string chandeliers, hanging lanterns or moving heads which project patterns and colors with advanced LED technology around the room. What this means is that the projected images will not only wash over the walls of the room, but can be projected on the floors and ceilings as well! The projections can change throughout the event, or be used as part of a presentation during the event. Moving heads can be used to project the patterns and decor mentioned above, but their wide range of mobility allows you to further customize event lighting. Moving heads can rotate between 360° to 180°, and allow for pan, tilt, and circular mobility. For freedom and flexibility, much of today’s professional lighting can be used both indoors and outdoors. That being said, the attention to detail regarding the event’s ambiance, entertainment, and focal points must be of greater concern when working outdoors—especially if the event is at night. Even if the lighting is meant to be fairly dim, it must be bright enough so that it is safe to move throughout the venue. On top of that, you must consider how to light paths and walkways that lead to other areas of the venue. Last but not least, even if you check to see when the sun is expected to set, there is always potential that you will lose your natural lighting earlier than expected—so your lighting plan must have a plan B. Above are just a handful of lighting tactics that can be used to both illuminate, and set the tone for any type of event you may be planning. Give your event that extra special feel with the event production services from Pittsburgh’s Steel City DJ. Specializing in corporate event entertainment and production, Steel City DJ is able to provide you with all the equipment needed to brighten up your event with mood enhancing light design. 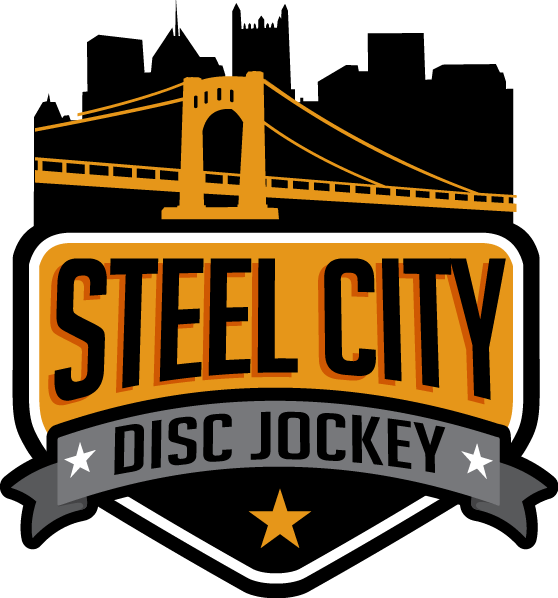 For all your Pittsburgh lighting needs, contact the pros at Steel City DJ.